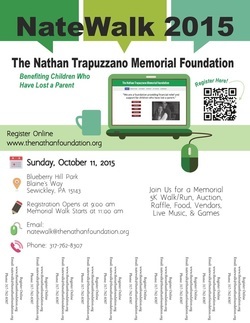 NateWalk is a fundraising event with the goal of raising money to provide relief for children who have lost a parent. 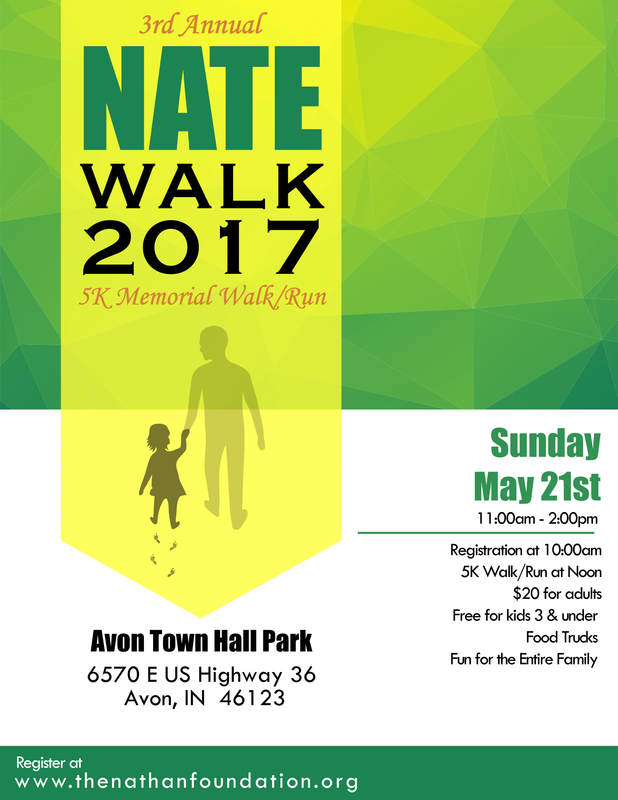 NateWalk is great for people of all ages who would like to walk or run to show support for this cause. Typically, NateWalk routes are 5 kilometers in length. However, participants may walk or run whatever portion they are comfortable with. 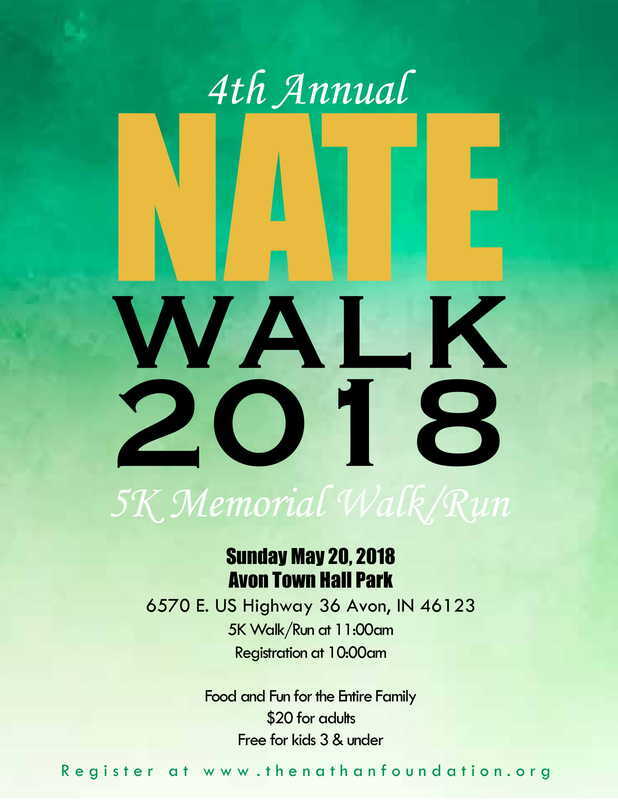 NateWalk events also offer games, guest appearances, food, and other opportunities to show support such as a silent auction with great items donated various companies and individuals. Events are held once per year in Indianapolis, Indiana, and Pittsburgh , Pennsylvania. Participants do not have to live in these areas to register. These people can register as a "virtual walker" and pledge to walk or run on their own. 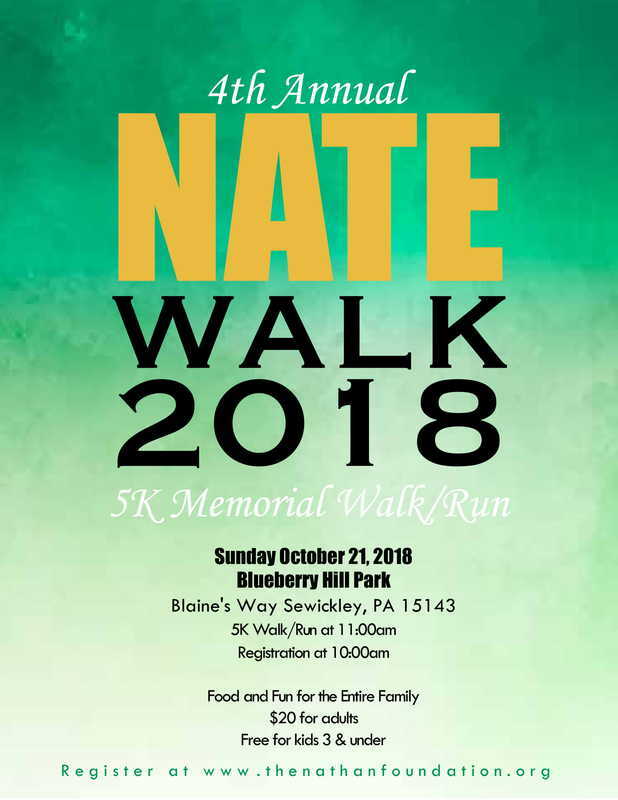 ​Click here to register as an in person walker. ​Click here to register as a virtual walker. ​Click here to make an in kind donation.